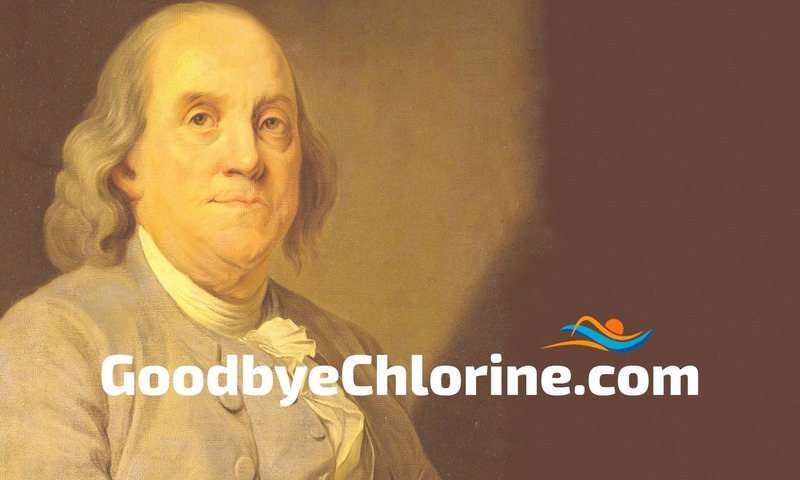 Home / Swimmers Hair / Swimmer’s Hair: How to prevent chlorine from damaging your hair. Swimmer’s Hair: How to prevent chlorine from damaging your hair. When it comes to swimmer’s hair, an “ounce of prevention is worth a pound of cure,” as Benjamin Franklin said. The best ounce of prevention to avoid “swimmer’s hair” is the good ol’ swim cap. Coincidentally, a latex swim cap weighs in at about an ounce. Putting on a swim cap is easiest when you fill it with water and dump it over your head. Use tap water from the shower if possible. Yeah, we hear you, most avid swimmers just dip the cap in the pool and dump it on, but if it’s swimmer’s hair prevention you want, the best is to use tap water. So how does it work? First, the tap water is absorbed into your hair making it more difficult for your hair to absorb the pool water. Finally, the swim cap provides a physical barrier between your hair and the pool water, and helps to keep it out. It helps, but it won’t completely keep the pool water out. Let’s be realistic, you’re swimming in the pool. Pool water is going to find itself into every nook and cranny of your body. And over time, the accumulation of chlorine will do what it’s best at and dry out your hair. There are other ways to prevent chlorine from damaging your hair. If you want to keep your hair looking good, you’ll need more than just a swim cap. Our all-time favorite product is our anti-chlorine conditioner. You can apply some before you put on a swimming cap, and use this product after swimming in the shower. It neutralizes and gently removes chlorine as well as returns moisture into your hair. It’s an excellent product and we’re sure you will get great results with it. We sell our conditioner in shampoo and conditioner packs, so if you want a discount by purchasing them bundled check this link out. There are two videos below: One that is a fun video 12 Ways to Put on a Swim Cap, and a serious video about putting on a swim cap with long hair. Enjoy! Check out our anti-chlorine conditioners. Swimmer’s Hair: How to avoid it and fix it. What causes “swimmer’s hair” and how to care for it. Should you use anti-chlorine soap, or anti-chlorine spray? Shampoo avid swimmers use to win the chlorine battle. The Science of Chlorine: Why it’s important for public health. Swimmers’ Hair: A look at shampoos and conditioners. Swimmer’s Shampoo, win the battle against chlorine damage. Next post: Twitter: Our work is not done here.